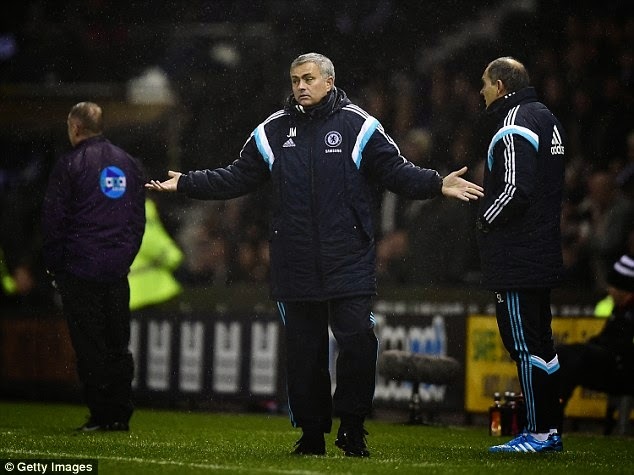 Chelsea manager Jose Mourinho has played down the chances of his side winning the quadruple this season. The Blues, who lead the Premier League by three points, moved into the League Cup semi-finals with a 3-1 win at Derby on Tuesday. But Mourinho said: "We don't speak about it. You [the media] spoke a few weeks ago about being unbeatable in the Premier League and we never did it. "Now you speak about the quadruple. We have our feet on the ground." In the new year, Chelsea meet Paris St-Germain in the last 16 of the Champions League and Watford in the third round of the FA Cup.